I was looking through your gallery again this morning ... 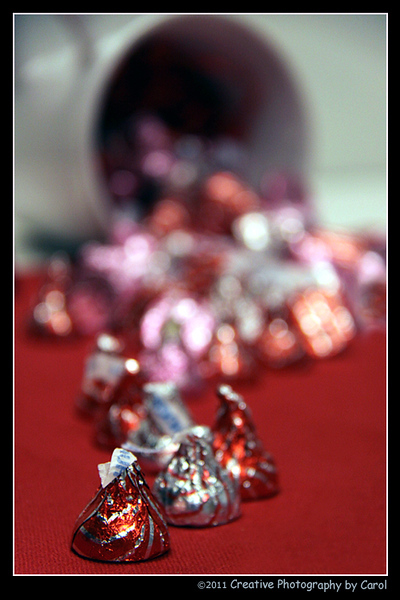 I love this photo (who doesn't love chocolate kisses?) I wonder how it would look with a slightly larger DoF? I love this photo! Your creativity amazes me ... I can't believe how many different love/valentine photos you have.